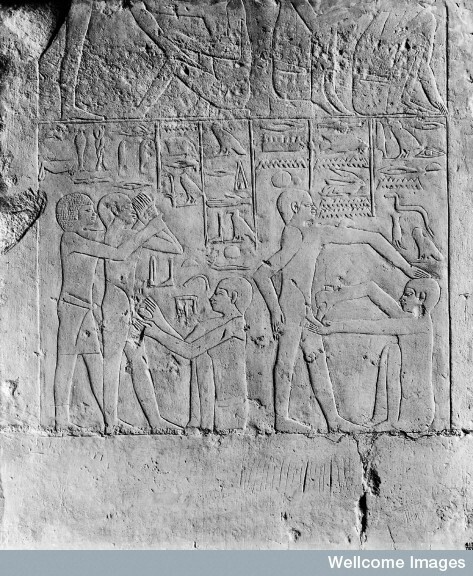 This is the oldest known depiction of circumcision being performed. This is the oldest known depiction of circumcision being performed. It's a colorful restoration of a bas-relief found in an Egyptian tomb built for Ankhmabor in Sakkara, Egypt and dating back to around 2400 B.C.E.